Jose Pierre met Father Medard Laz in June 2011 while attending the ICT in Education Summit organized by the IDB and the Haiti Ministry of Education in Port-au-Prince, Haiti. The following is a recent interview with Father Laz. Father Medard Laz was ordained a Catholic priest for the Archdiocese of Chicago in 1969. He founded Holy Family Parish in Inverness, Illinois in 1984. Since 1999 he has served on weekends in several parishes in the Archdiocese of Miami and the Diocese of Palm Beach, Florida. Father Laz is the author and co-founder in 1982 of Rainbows, a support program in schools for children in single-parent or blended families. Over 2 million children have attended the 26-week program in 15 countries. Father Laz has also founded Joyful Again!, a weekend program for widows and widowers that is held throughout the country. He is the author of nine books. Father Laz through Food for the Poor has built a village in Thomazeau, Haiti and two fishing villages in Fond des Blanc and Petit Goave, Haiti, including a school and a clinic. What are your thoughts about the work that the Children Heritage Foundation is doing in Haiti with Baccalaureate students? Father Laz: From what I have heard, I am impressed with the work that the Children Heritage Foundation has been doing with Baccalaureate students. Distance learning is spreading rapidly throughout the US. There is no reason why distance learning cannot be successful in Haiti. Students in Haiti are now able to take courses, pass tests, and obtain degrees with other students in the US and around the world. the Children Heritage Foundation is working to open the doors that today's ICT provides for education. What motivated your own work or effort in Haiti? 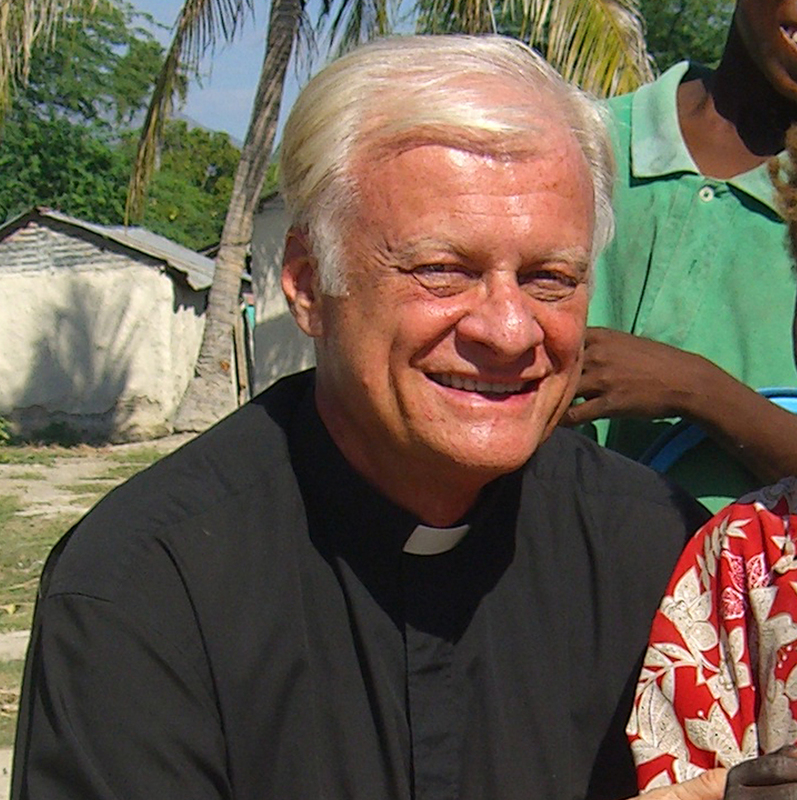 Father Laz: I am motivated to work in Haiti because I see so many faces that have no hope. This touches me very deeply. The rest of the world has the resources, far beyond the financial ones, to help transform Haiti. This cannot be done by imposing our culture or values or through handouts. It can only be done through partnerships and collaborations with people throughout Haiti. What from your perspective is the primary educational challenge for children in Haiti? Father Laz: Since I am very involved with Inquiry-based learning, I believe that this is the way to transform the way students learn in Haiti. We must move away from rote learning with chalk and blackboard. Inquiry-based learning helps the students to work in small groups, do critical thinking, and problem-solving. The teacher acts more as a guide to direct the children to discover what they need to learn to change their country and to have jobs that are needed in our world when they graduate. Inquiry-based learning does not rely totally on an internet connection to be successful. Computers or tablets that are downloaded with information or books can make Inquiry-based learning successful. Jose Pierre: On behalf of our team; thank you Father Laz for your time and, for your ongoing support of Haiti's children and related efforts.